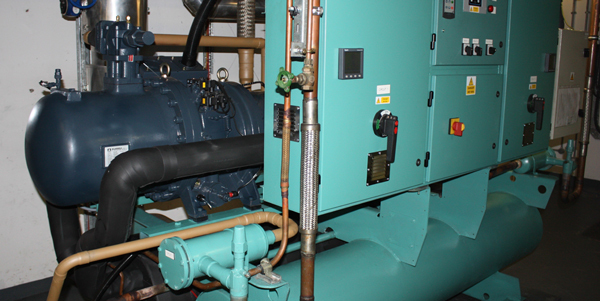 Refrigerant R134a is a more energy efficient gas than R407C, but has a significantly lower heat energy movement, so requires a higher compressor capacity. Using modern Variable Frequency Drive Inverters many Screw compressors can be run faster to recover lost capacity when compared with R407C at UK standard 50Hz supply. The recent F Gas Directive amendment will outlaw both these HFC refrigerants but HFO gases are now becoming available to replace R134a – converting now future proofs against loss of HFCs by 2030. Inverters are recognised for their efficiency in controlling electric motors. Because refrigeration applications work to differing properties of physics (thermo-dynamic heat engines) the manner of their use has taken longer to become understood. It has also taken a while for the technology to catch up – Compressors are large machines and require large capacity VFD Inverters to cope. These are now available in reliable, long life designs specifically assigned to the characteristics of the refrigeration screw compressor. Typical Screw compressor ‘Slide valve’ load control is most efficient at 100% load, with efficiency tapering off markedly as load reduces. However, most chillers operate away from full load most of the time. By applying an Inverter to allow the compressor shaft speed to be adjusted for the specific load required, the slide valve always operated at its most efficient 100% position.